Your home’s heating and cooling systems are an essential part of your indoor comfort. A properly maintained system can mean the difference between a comfortable living environment and a miserable one. Whether you have a broken or inefficient system, that you would like repaired or replaced, or just would like a routine maintenance check and tune-up, Twin Air is here to help. You just came home to an oppressively hot or cold welcome from a broken HVAC system. You know if you don’t get it serviced quickly, your house will become unbearable. At times like this you need fast, dependable, help from Twin Air. We will come to your home, perform a full diagnostic of your system, determine the problem, make you aware of any needed repairs, and provide recommendations, and a variety of options so that each customer has a range of choices and price points to choose from. 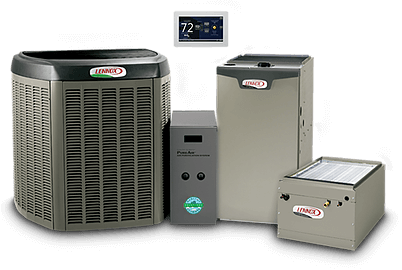 We can also recommend complete home comfort solutions to improve your energy efficiency and overall wellness based on your current system We always get your approval before doing work so that there are no surprises on your bill. Our licensed and insured technicians are experts in all brands and are committed to finding the best option to meet your needs and get your home comfortable again. Contact Twin Air Today, And Let's Get Your Home Comfortable Again. Call Twin Air Today, And Let's Get Your Home Comfortable Again. We know that a new heating or cooling system is a big investment for homeowners. That’s why we schedule, personal in home meetings to help explain all of your different options when considering different replacement systems, and help evaluate several important factors including overall investment costs, long-term operating costs, and utility rates to determine which options will be the most cost effective for you over the long term. We perform load calculations to make sure that the new system is the ideal size for your home and determine if there is enough moisture in the air. For households who wish to reduce exposure to odors and germs, we present information on UV light filtration, which is the same technology used in hospital surgical rooms and submarines. Twin Air prides itself on providing thorough maintenance inspections and tune ups to homeowners. For our customer’s convenience they have the option to choose a maintenance contract to reduce the costs of routine HVAC maintenance. 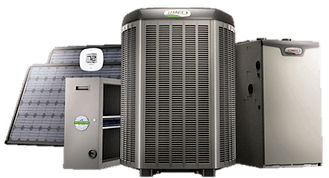 If you would like to schedule a tune up for your heating or cooling unit contact us today at (703) 754-1062.